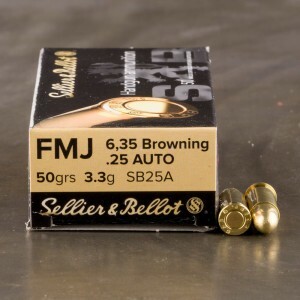 Full metal jacket 25 auto ammo is a small caliber, designed to be fired from small handguns, due to the short barrels and small, lightly loaded cartridge, most 25 ACP FMJ ammo lacks penetration. 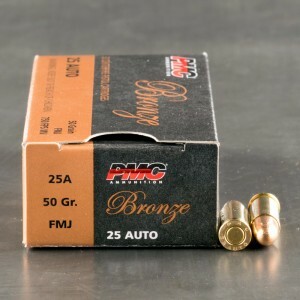 Full metal jacket (FMJ) rounds are much better suited for penetration with their copper jackets than some of the other bullets available today. 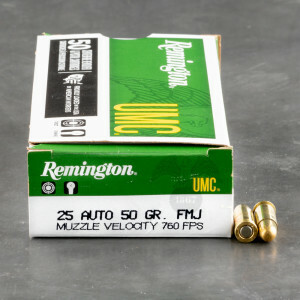 FMJ rounds are also known to be more reliable when feeding from older weapons, and are often the most common round of shelves. 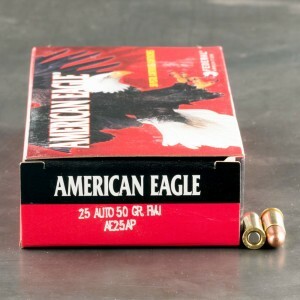 25 ACP full metal jacket ammunition is often heavier than hollow points in terms of grain, which can equal more foot pounds of power upon contact with your target. 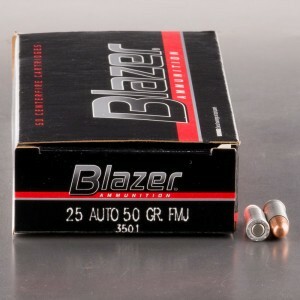 Because of that, you might opt for full metal jacket rounds in 25 ACP, even for self-defense. 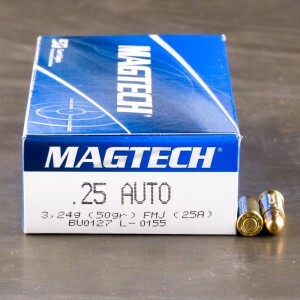 Good shipping and packaging. 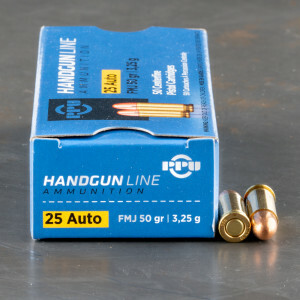 Great to have found these rounds as the local shops carry this round in stock. 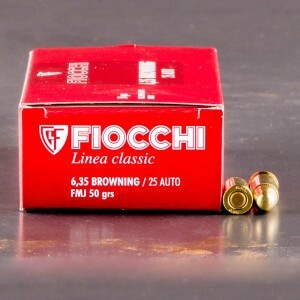 Great function on the range.